Good day! Is it accurate to say that you are from Kitchener, Ontario and need legitimate guidance for your petty criminal offenses? We, at Bulwark Legal Services, are here to bail you out with a basic red light ticket to a minor criminal accusation. We face and manage all Highway Traffic Act Matters including driving while under suspension, stunt driving, no insurance, red light, speeding, seat belt, stop sign tickets and all other types driving related offences in Ontario. By giving an ideal arrangement and giving you a reasonable and definite report on the best way to go about your cases, that is the means by which we help our customers. We additionally do it with a FREE INITIAL CONSULTATION. Our group is made out of a previous veteran cops and and experience paralegals that have years of involvement in this field and they can guarantee you that you're in great hands. If you have to settle your ticket or show up in court, however, you have other essential matters to go to, here is the point at which we come in. We can take all the weight off of your shoulders by recording and sorting out your timetable for you. We see to it that we will give you a bother free affair. Bulwark Legal Service was built up last 2013. Our paralegals have wealth of knowledge and experience. It will be difficult to confront these charges without legitimate supervision and will cost you a ton progressively in the event that you convey this case to different firms. Our group has taken care of a great deal of these cases and we realize what to do. Since this is viewed as a genuine offense, we unquestionably need to battle for this one. In Ontario, the punishments for driving while suspended under the Highway Traffic Act expanded in November 1998. 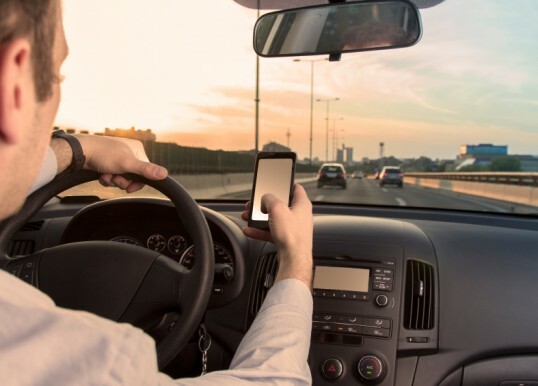 On the off chance that you are indicted driving while your permit is suspended for an HTA offense you will need to pay a fine of $1,000 to $5,000 Canadian dollars for a first offense and $2,000 to $5,000 Canadian dollars for a consequent offense. Driving your vehicle or letting another person drive your vehicle without insurance is considered as a noteworthy offense with genuine results. This offense arranges you in the "High Risk" Category wherein your insurance agency may expand the insurance premiums or even the cancellation of your approach for 3 or more years. Also, the fine to drive without insurance is no less than, five thousand ($5000.00) Canadian dollars, with an extra additional surcharge tax of around twenty percent (20%). It will be a savvy move to give us a chance to offer you some assistance with fighting this case. In some areas in Ontario, once you have gone over the speed by more than 50 km/h, you will be issued a ticket for stunt driving. This law was made in 2008. The issuance of speeding tickets has been expanding so the administration changed this law to battle it. Considering getting lawful counsel and representation for your court appearance is an unquestionable requirement. You will likewise in all probability be encouraged to look for expert exhortation. We will be an advantage for your case. Discover more about what the alternatives we can offer you. The best-known activity for these speeding tickets is to pay and get over with, in any case, by just doing that is going to cost you more! We are more than willing to tell all of you the subtle elements. It is ideal to have a specialist examine your case for you to realize that you are not paying for any pointless charges. Continuously remember that there are real guidelines and laws to follow in driving and being accused of rushed driving is a genuine case that shouldn't be taken lightly. The odds of suspending your driver's license are high, and can harm your business opportunities. You may likewise have an increase in your insurance premium, and this offense may acquire you a number of demerit points. Since we have taken care of numerous comparable cases, we know the best choices to offer you and the best moves that you ought to make. Try not to delay to request our help. Taking a shot at stop light cases is one of the administration's we offer. There is a possibility that this will not reflect on your personal record. However, it is still not something that should be dealt with carelessly. You ought to still search for us for proficient guidance to figure out what your definite penalties are and what amount is the real worth of the ticket. Bulwark Legal Services is located directly across from the Provincial Offences Office, Regional Municipality of Waterloo 77 Queen Street, North Kitchener, ON. We additionally deal with every driving matter in different territories in Ontario. Bear in mind to round out the 'Contact Form' for us on the off chance that you need us to reach you and get redesigns about all our offered administrations. With Bulwark Legal Services, you will not need to wonder if you are in good hands!